Shark Diver : Shark Diving : Swimming With Sharks: Last chance, if you want to work with great white sharks! Last chance, if you want to work with great white sharks! This is a reminder that all interested applicants need to submit their resumes by March 1st. Shark Diver is a commercial shark diving company, that's been in business for over 14 years and has a heavy emphasis on conservation. Our goals at Shark Diver are to be advocates for our sharks and industry, while delivering top shark species encounters to our divers, the media and research partners. 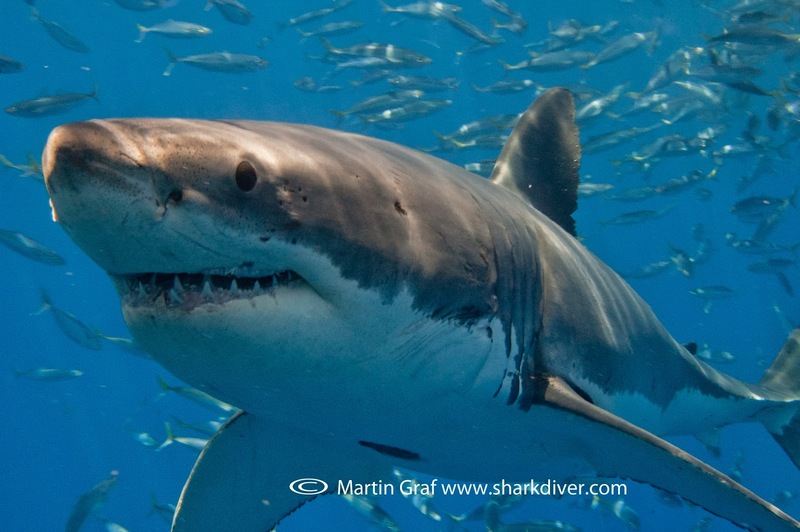 We are looking for a SCUBA instructor for our 2015 Great White Shark season at Guadalupe Island. Our season runs from August to mid November and the position is full time during that time. The duties include the supervision of the divers, familiarizing the non-certified divers with the hookah gear, (discover scuba) ensuring the safety of the dive operation as well as general boat-crew work. He/she is also responsible for customer service, welcoming and checking in the guests, when they arrive on the boat. Additional duties include the production of a trip DVD and helping our divers with their gear. The ideal candidate has a degree in, or is studying marine biology, has extensive experience diving with sharks, great customer service skills, a basic knowledge of video and photo editing and prior live-aboard work experience. The ability to pay attention to details, adhere to established safety protocols and follow the directions of the captain are absolute must have's for the successful candidate. Teaching status, insured SCUBA instructor rating, with current first aid certification is also required. Our vessel is registered and based in the US and all our crew members must be able to legally work here. A valid US passport/passport card, or a foreign passport with a valid work visa are required to work on the boat. No exceptions. We are offering a competitive salary, the opportunity to work with a great team and to get up close and personal with great white sharks. 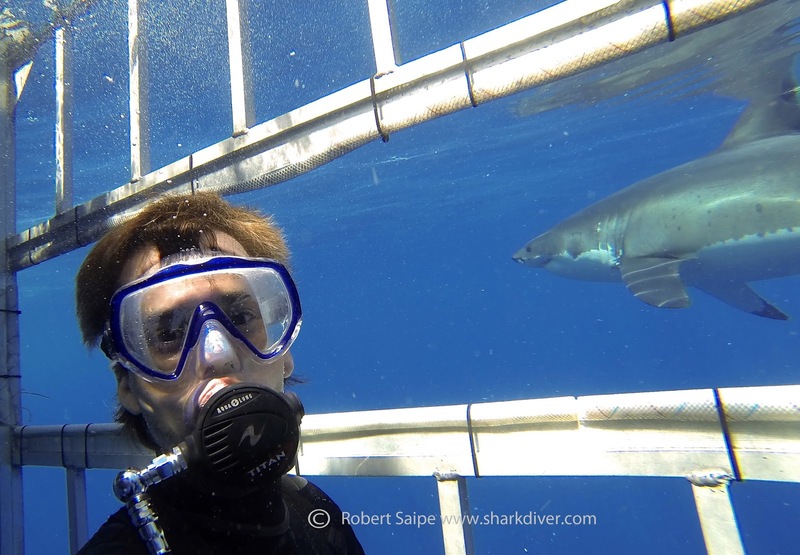 What other job let's you say that there are great white sharks in your "office?" This could be your "office"
Since it takes time to get to know the individual sharks and their behavior, we are looking for a candidate who is willing to commit to more than one season. 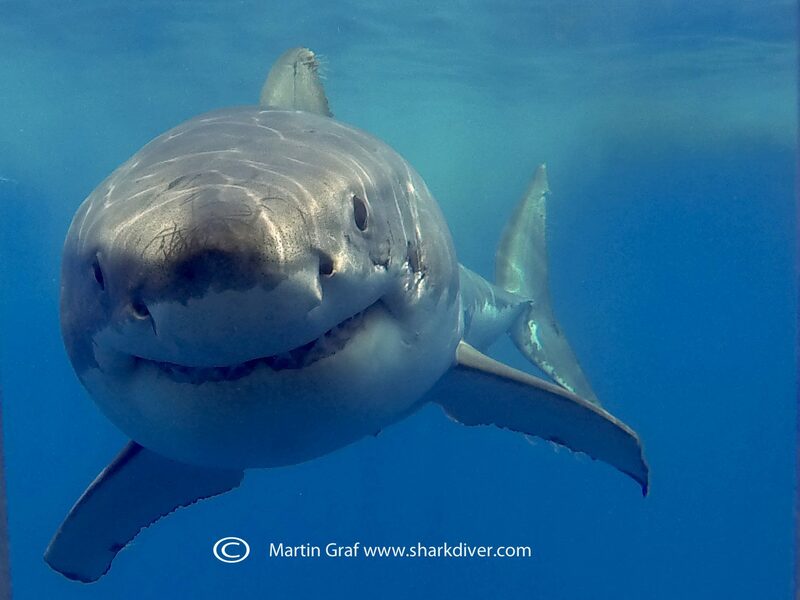 One of our characters at Guadalupe Island. If you meet our qualifications, we welcome your resume. Please send it to sharkoperator@gmail.com, no phone calls please! The application deadline is March. 1 2015 We are looking forward to hearing from you.